Little axe, made according to alemannic finds, construction steel with cutting edge made out of Ck 75. Small axehead, unburied from the "I finish this later" box. Length 175 mm, cutting edge laminated with Ck 75. There are some Viking finds that look similar, but i am not calling it a "remake". 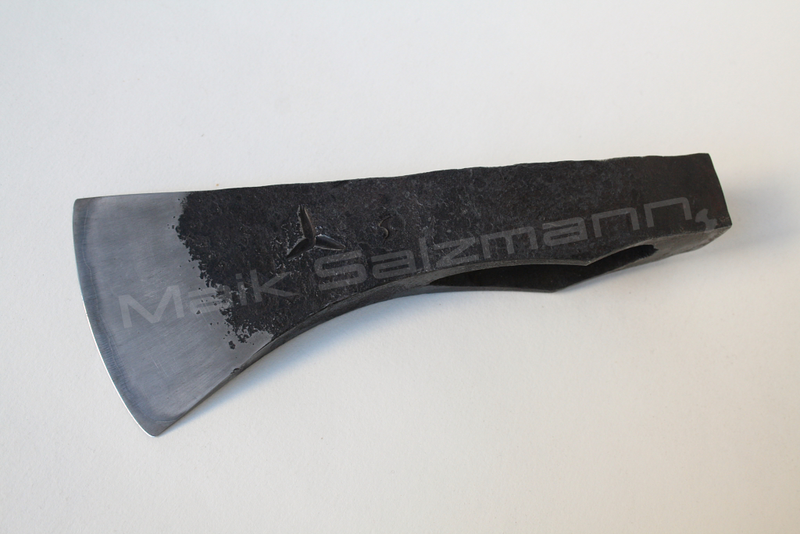 Cutting edge 66 mm, hole 60 x 23 mm, weight 500g. 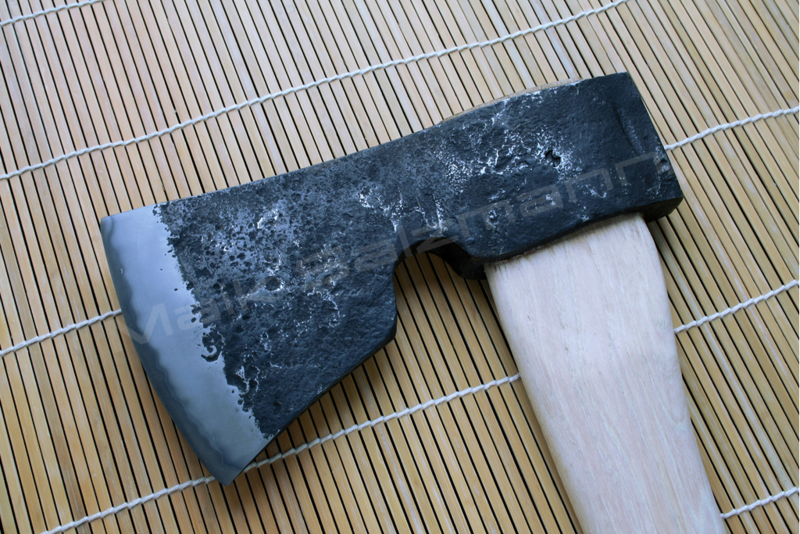 Forest axe, 1600g, slim cutting edge for fresh wood. Construction steel with edge made out of Ck 75. I am very happy with it´s cutting performance. 3 layered knife made for a friend to his size specifications. 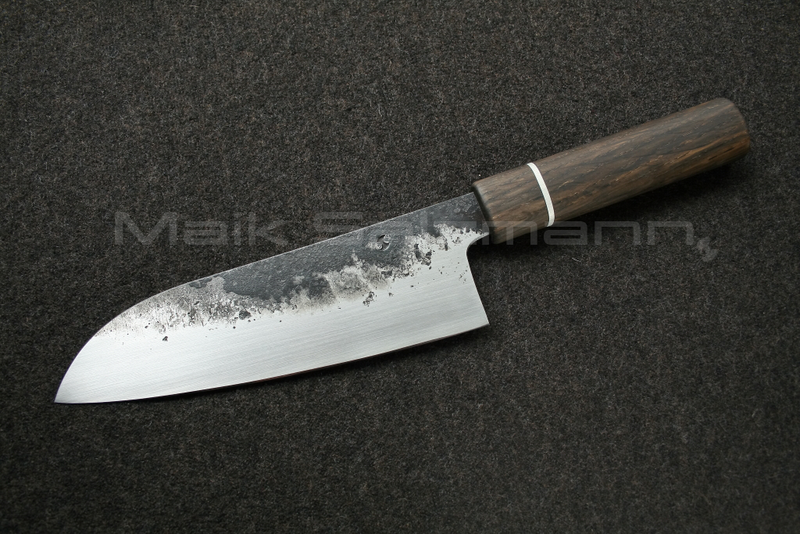 Old file laminated with C45, handle bog oak with tin. Total length 320mm, blade 190. Blade back tapers from 4,2mm to 2,8mm, cutting edge 0,5mm. Splits hair. 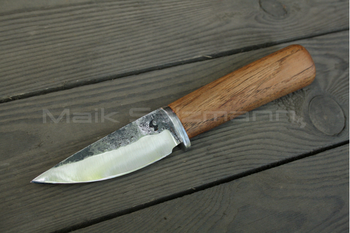 Simple knife for general use. Spring steel from Gransfors drawknife, damascus guard made from old raiload nail and railway connection screw spring, hickory handle. 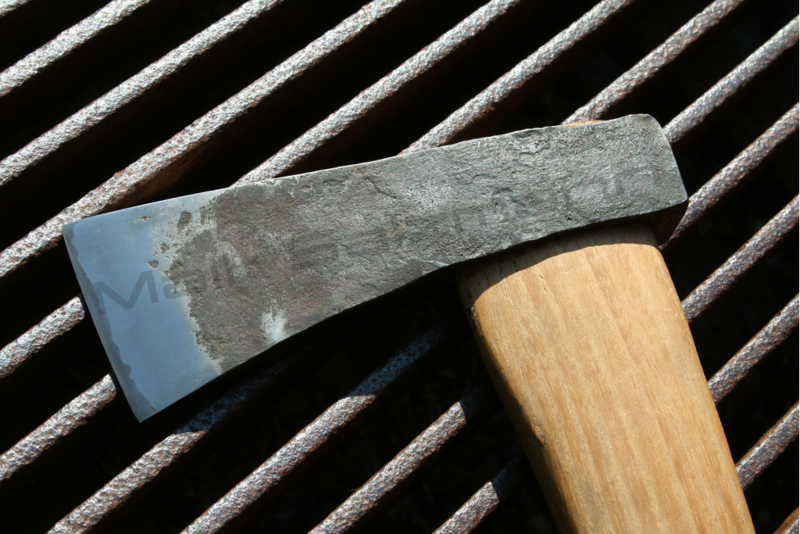 Knife after the find of Parsberg, Germany. The original may be enjoyed in "Germanisches Nationalmuseum Nürnberg". Unluckily it was not more specifically dated then "La Tène Period", which is almost the last 500 years BC. The design is similar to others from the 1.century BC, compare Wederath. 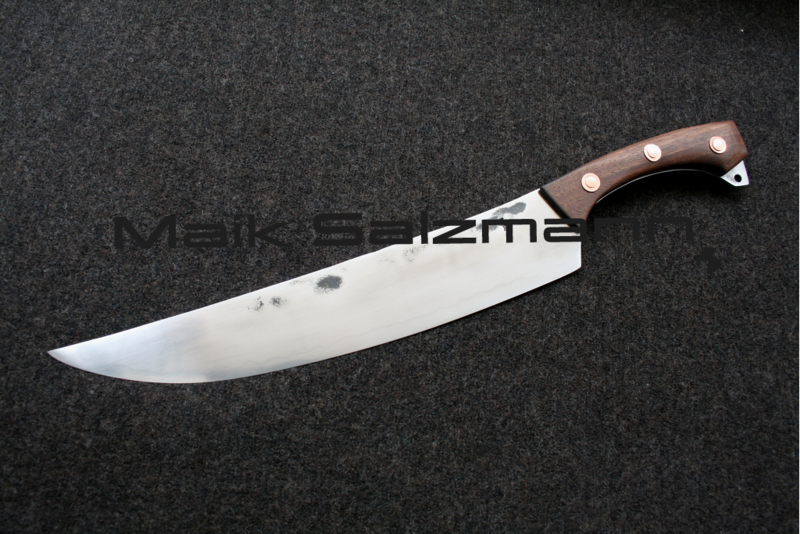 The original blade was bigger and heavier, the rivet hole positions were still visible. It seemed to me like an everyday tool and weapon if necessary. 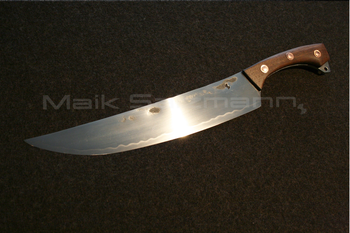 I kept the proportions but made it smaller and lighter so it serves very well as kitchen knife with a thin edge but is still servicable for other light work.